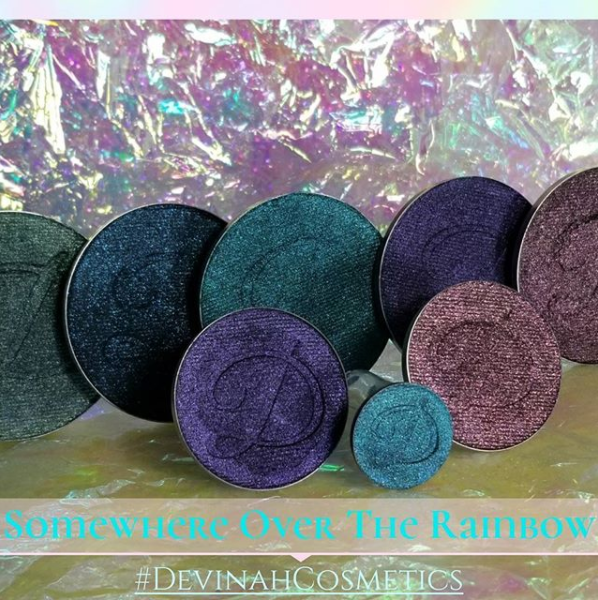 Devinah Cosmetics is launching a whole NEW collection of shimmery eyeshadow singles called Somewhere Over The Rainbow on New Years Day, 1.01! We totally love the Wizard of Oz reference! The new collection will feature five new shades all inspired by the Wizard of Oz. Each shade ranges in price from $5 to $20 depending on the pan size (there will be 4 total pan sized for each shade). Every color is hellaaaa sparkly (hence the NYE launch!) so we are calling all bling-lovers! 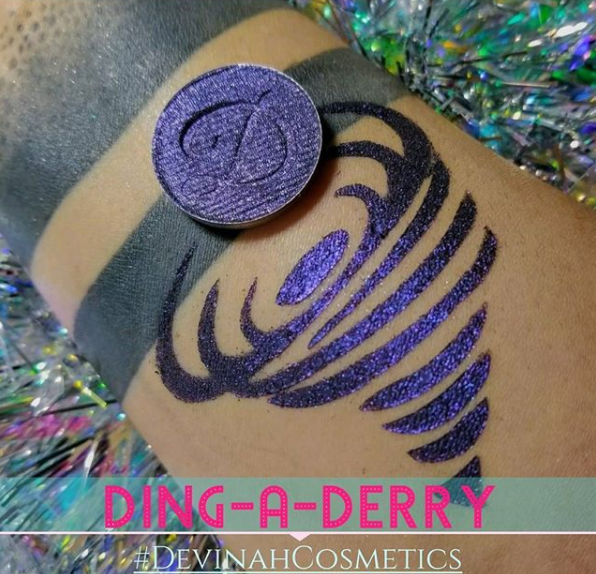 Devinah has yet to release swatches of the entire collection together, but from the looks of it, these are going to be mostly deeper and more colorful shades plus one suuuuuper sparkly silver! We are loving what we have seen so far – a gorgeous royal purple, an aquatic teal, a deep sultry navy blue, ahhhhh! So pretty! Are you guys into single shadows?? Or do you prefer palette launches?? Let us know!